This December, Debbie Hodge is offering a 6-week class with prompts and page ideas for scrapbookers who want to frame their December story in a new way. A way that gets in touch with the magic of the season and your often-heroic efforts at making it special. While registration doesn't open until November 1st, there is an early-notice sign up page. If you sign up for early notice you can get an early registration bonus that Debbie will be giving that first weekend of registration. Debbie is a superb teacher with a proven track record of excellent classes. Every Monday for 6 weeks you'll receive a lesson. Answer the prompts, view the ideas. Open yourself to new and inspired ways to tell your December story. 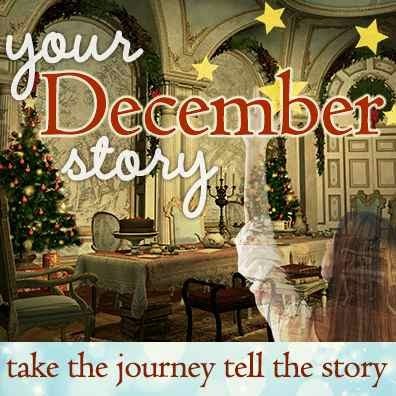 You can weave these stories into your December Daily album. Or let them inspire a complete book on their own. This is exciting stuff! I hope you'll click on the link and see what it's all about. Check out the early-bird notice page here.